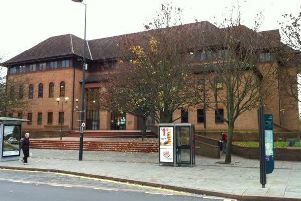 An alcohol awareness campaigner has urged Derbyshire residents to drink sensibly during the Euro football competition. Recovering alcoholic Gary Topley, 37, who has now been sober for seven years following a long battle with booze, stressed that drinking ‘isn’t a race to see how drunk you can get’. Gary, of Chesterfield, said: “The Euros are a time when we like to go out and watch the football with our friends and family. “Most of us like to celebrate wins or drown our sorrows by having a drink – sometimes drinking to excess which in turn brings us further problems. “For example it can lead to falling out and fighting with friends and arguing with loved ones and at times getting in trouble with the police. “I would urge people to drink sensibly. “It isn’t a race to see how drunk you can get so please try and moderate your alcohol intake so you and everyone else can have a safe and secure time. “Also, remember beforehand to plan how you are going to get home and don’t drink and drive. Gary was taken into care when he was two-years-old then later adopted partly because of his mother’s drink problems. This affected him later in his life. Gary started drinking when he was just 14 and became dependant on alcohol until his late 20s. Now free from booze, Gary spends much of his time helping others who are battling alcoholism. He is currently volunteering with the National Association for Children of Alcoholics which helps those who are affected by their parent’s drinking.